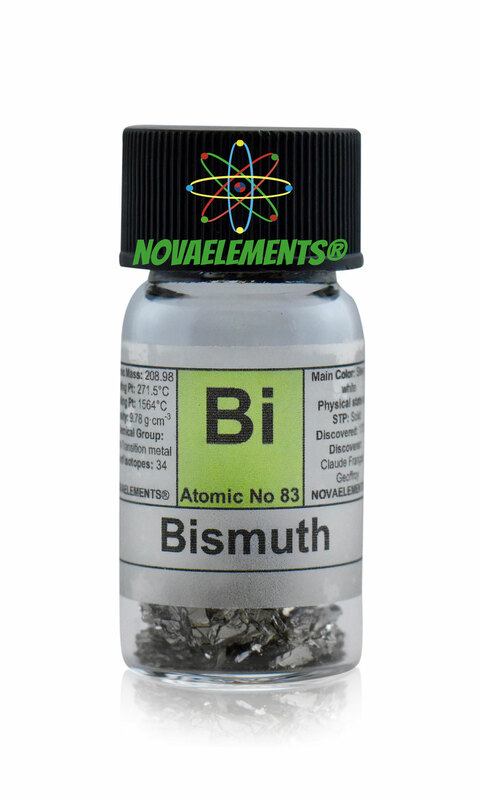 Bismuth is the last most stable element and it is also the last transition metal with chemical symbol Bi and atomic number 83. It is a solid and silvery-grey metal at normal pressure and temperature, it is very strong to cut but you can break easily with a hammer. We suggest this element at the purity of 99,99% in a 7 mL glass vial with about 2 cm of diameter. We put inside 5-10 gram of pure Bismuth metal with very shiny surface. We also offer the possibility to buy the element Bi in bigger quantity at best price. 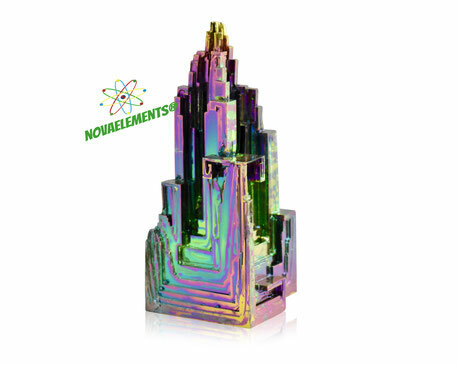 Bismuth metal is simple to liquefy to make its amazing crystals like this one in the picture on the right. 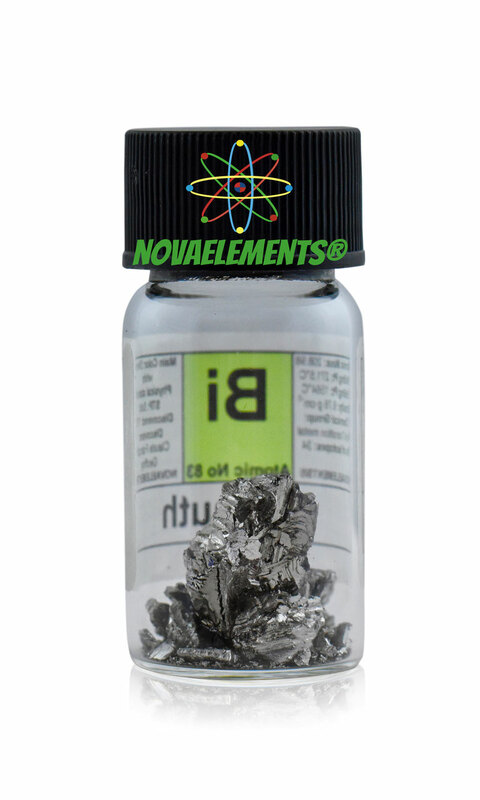 High purity Bismuth metal shiny pieces, element 83 sample of 10 grams in glass vial with label of the chemical symbol of the element in the top the cap. Pure Bismuth metal sample.